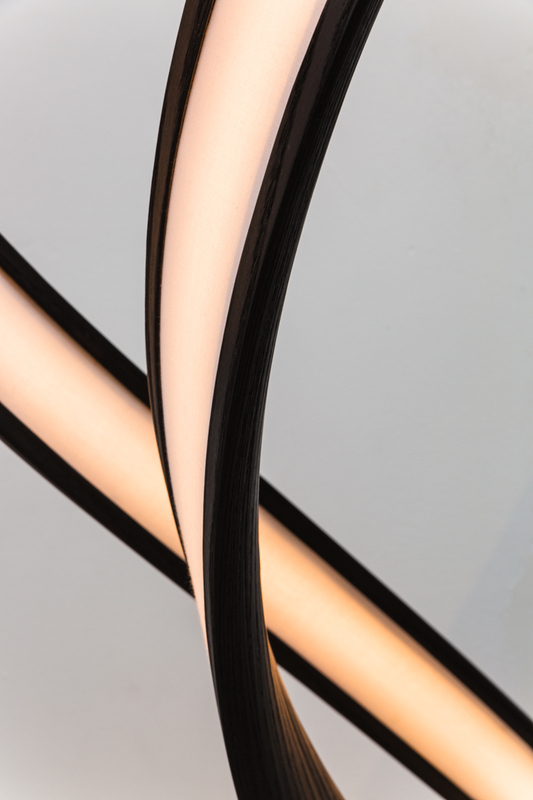 With Standing Freeform, John Procario continues the Freeform Series’ exploration of streamlined, undulating forms. 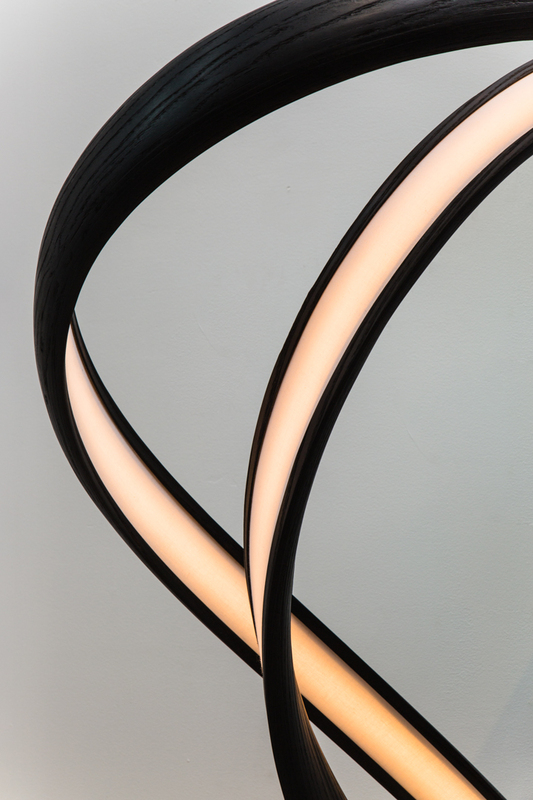 The serpentine sculpture, gracefully descends from its fixed point on the wall as the form splits into two inky ribbons exposing the internal LEDs. Procario has finished this unique work using the shou-sugi-ban method, an ancient Japanese finishing technique that preserves wood by charring it with fire. In addition to being aesthetically striking and elegant, this method of finishing enhances the durability of the wood.